Riley was kind enough to stop by Rich in Color to talk about her experiences growing up biracial while being surrounded by whiteness. We hope you enjoy it! And don’t forget to check out her book! “But you’re not really Chinese,” a friend told me a couple years ago. “You’re American.” As if the two were mutually exclusive. I want to label this experience as one of the many perks of being biracial—other fun features include the frequent question “what are you?” and also never feeling like you belong!—but I’m not entirely sure. After all, for a large part of my life, I probably would have agreed: I didn’t feel Chinese enough, so I was American. For a large part of my life, I felt so white that I didn’t even realize I felt white: that is, until I started realizing that other people perceived me as, first and foremost, a nonwhite person, I felt like part of the majority white population. Frankly, for a healthy majority of my life, until late high school, I was loath to talk about race in any real manner. I had this attitude to my race where its only purpose was to be diminished into humor: in elementary school, I joked along with the white kids who said that any grade below a 95 was an “Asian Fail”; in middle school, I and the other East Asian kids banded together into a group that called ourselves the “DiscriminAsian Squad.” We had business cards. Growing up, being surrounded by people who never talk about race, specifically white people who never talk about race, is an interesting experience. In some ways, it’s comforting: you’re rarely made to feel like you’re Other, except when racial humor rears its head. I have certainly never felt alienated or othered by my best friends, the vast majority of whom are white. But in a lot of ways, the silence surrounding it feels like being trapped under a lead blanket. If they don’t ask, you will not tell. And this leads to you feeling an implicit need to distance yourself from your heritage, at risk of not belonging. One of the narrators in my debut, Seven Ways We Lie, has much the same attitude toward his biracial heritage as I did in high school: he silently disavows it. He talks about it when pressed, but he doesn’t feel like he has enough of a claim to his race to speak up about it. Sometimes, when we’re afraid of or nervous around a topic, silence is all we can muster. It doesn’t necessarily mean shame, and it doesn’t necessarily mean cowardice. Sometimes it just means comfort. Riley Redgate is a senior economics major at Kenyon College. She enjoys puns, heavy rain, and the Atonement soundtrack. 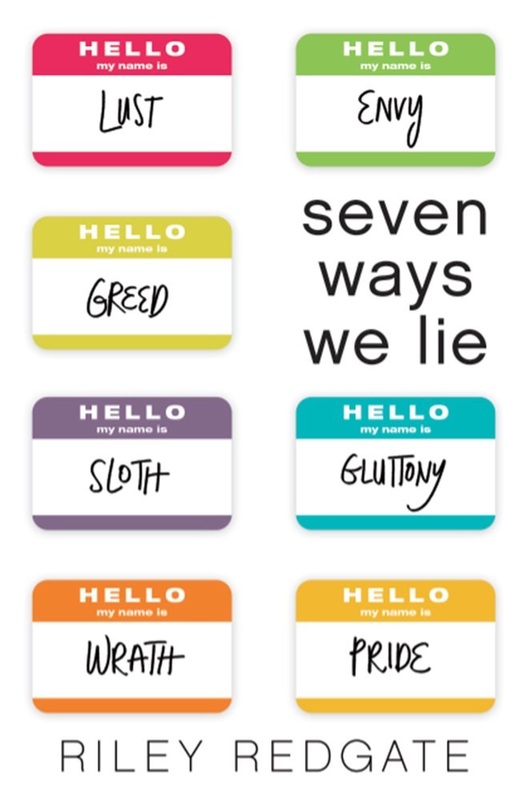 Her debut novel, SEVEN WAYS WE LIE, is a YA contemporary releasing 3/8 from Abrams Amulet. Racial identity, especially for biracial people, is complex and dependent on the individual. If one doesn’t feel to have enough of a “claim” on one’s race, especially for non-white ethnic minorities, then I completely understand the reaction to stay silent and not feel like a spokesperson for one’s race. But I do find the idea of hiding, finding comfort, and disavowing one’s race to be problematic. It is very specific to an individual’s experience, I understand that, and it’s certainly a good topic to explore in a novel. But many other biracial people don’t have the privilege of “hiding” their race to fit in and find comfort. I look forward to reading your book and seeing what points it makes about biracial identity. I certainly don’t know what it’s like to be biracial, so I’m curious to read more about that aspect of human experience.